Michelle became an #AccidentalAdmin in 2009 after having spent several years as a middle school science teacher. 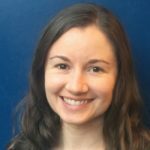 She quickly realized that her knack for understanding biological systems translated well to understanding the Salesforce platform, and what started as a temporary job grew into a career. She recently got into Apex development and is excited to share about some of what she has learned so far. The Developer Console is for Admins too!